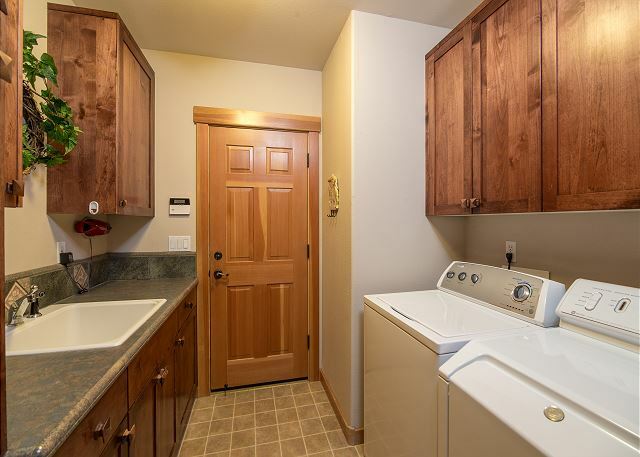 Pet Friendly, Hot Tub, Fireplace, Bikes, 10 Unlimited SHARC, New TV's 2019! 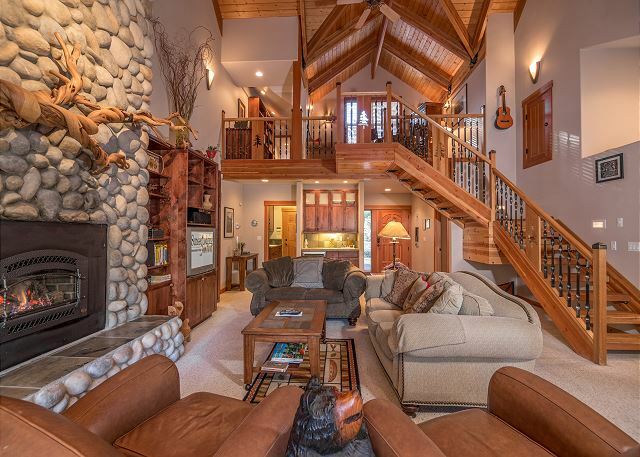 Escape the hustle and bustle of daily life with this two-level pet-friendly vacation home. 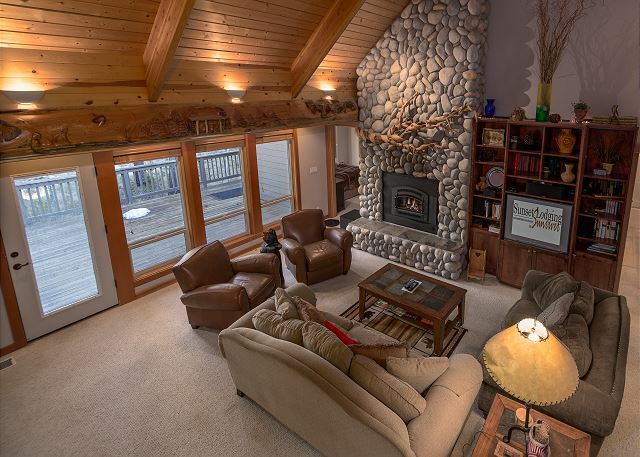 The 2,800-square-foot residence boasts six TVs, six DVD players, an Xbox, and a hot tub. Enjoy groovy tunes with the Bluetooth soundbar speakers, clean your outfits with the washer and dryer, and hang out at the wet bar. 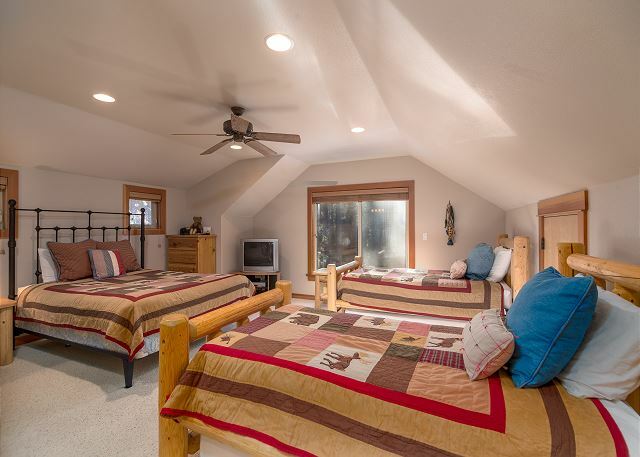 You'll sleep soundly atop one of the two king beds, one of the two queen beds, or one of the two twin beds with trundles. 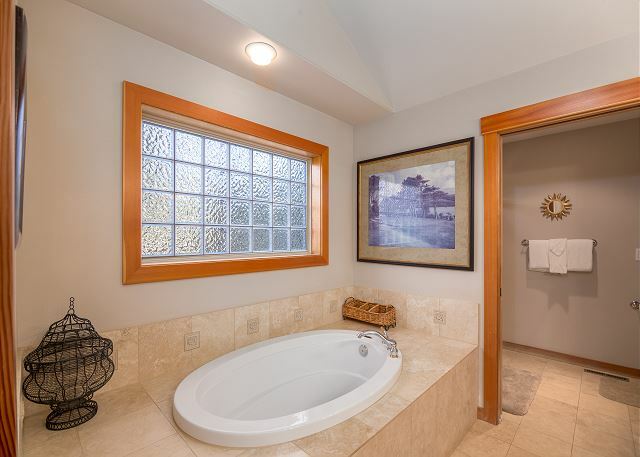 Additional comforts include a soaking tub in the master bedroom, a desk with a computer, a gas fireplace, a gas barbecue, a double garage, and three bikes. All of the televisions have been updated to smart flatscreen Tv's throughout the home in 2019! 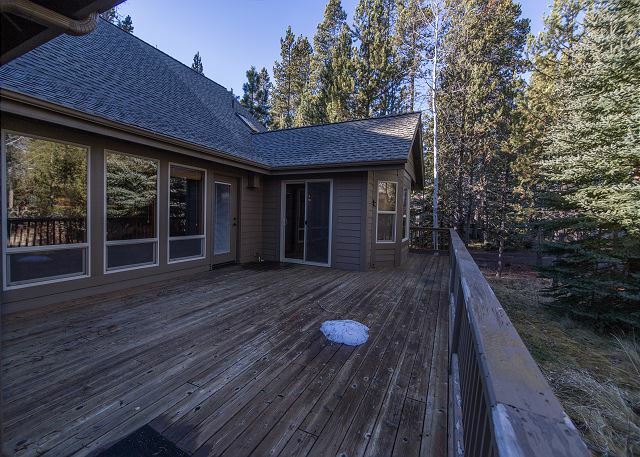 The home is situated close to the Deschutes River. Other area attractions include the Sunriver Nature Center & Observatory, Caldera Springs, and Benham Falls. This home provides 10 Unlimited SHARC passes! Great time w/family and friends. Kitchen was well equipped and had everything we needed to prepare our Thanksgiving dinner. We were also gifted with a turkey... thank you. The home was warm,inviting and accommodating. Had a great time. Thank You for your wonderful 5 star review, Carmen! We are happy to hear that your family Thanksgiving was wonderful, Come back soon! We loved the house and its location. It was very pet and child friendly as well as comfortable and warm for our adults! The bikes were in excellent shape and the hot tub easy to use. Being near the river made our stay perfect! Thank You for the 5 star Review, Julia! So glad you loved the house, it's location and had a great time. Come back soon! This home was everything it was described to be. 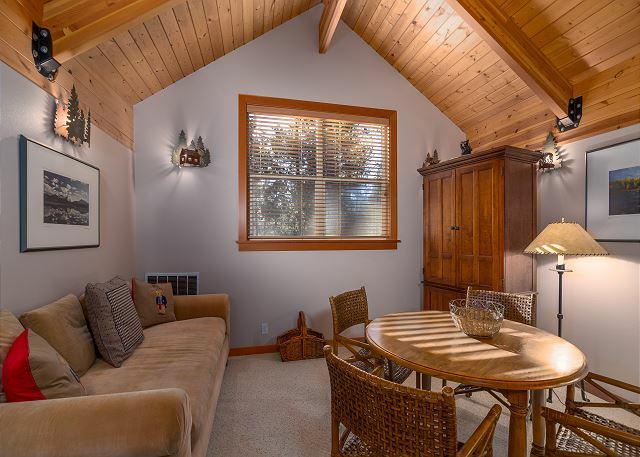 Quiet, wooded area & plenty of room. Close to the river. Thank You for the 5 star Review, Brenda! We are so glad that you got to relax in this great home over Labor Day, Come back soon! Home is spacious and comfortable for 10 people - including 4 children aged 2 to 8. Having SHARC passes for everyone was a definite plus! The house is well-maintained - though it has clearly been lived in a lot. We enjoyed being so close to the river where we could walk every evening and we also spent a lot of time on the deck. My husband appreciated the use of a bike. I would gladly rent this property again! Thank You for the 5 star Review, Barbara! We are happy to hear that you enjoyed your stay and found the home well maintained and a great location! We hope to host your group again! Fantastic, had a great family gathering. Thank You for the 5 star review, Sal! We hope you will come stay at FANTASTIC Goldfinch 11 again soon! This home was so comfortable for our family to meet together and stay. 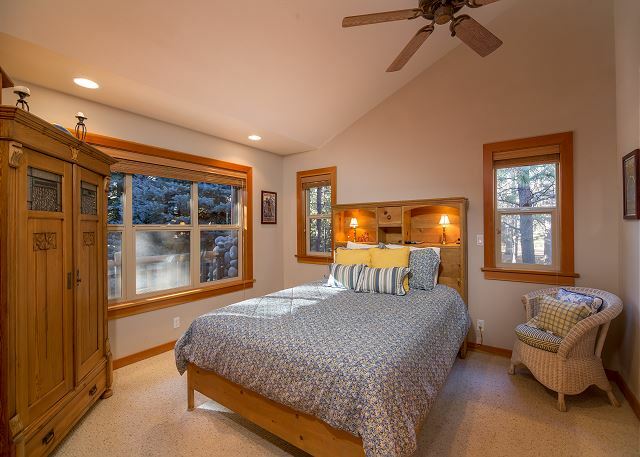 We enjoyed everything about it from the nearby mountain to ski, Bend, the bike paths, the nearby hiking (Smith Rock), and the comfort and cleanliness of the house. The home could use a little TLC with some scratches on walls and slight stains in the carpet. Some more cozy bed linens would be a nice upgrade as well but this would not keep us from coming back. We felt everything was clean and that is the most important thing to me! 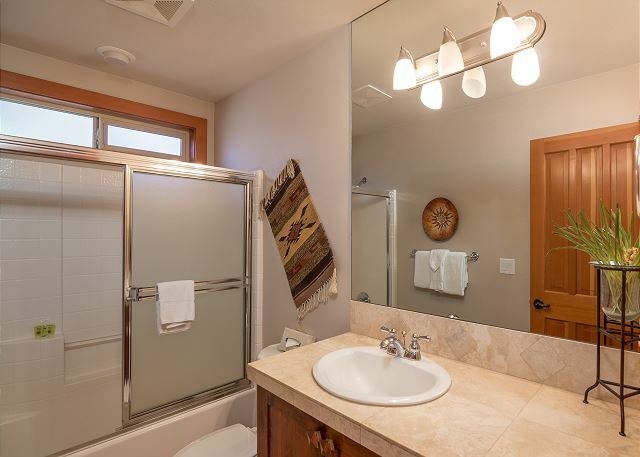 The house is beautiful and in a great location close to an area for convenient morning walks with family and pets. Management was great with preparing us for our visit and all the we needed to know ahead of time. We didn't have any issues at all to address during our stay. Thank You for your review, Shawn! We are glad to hear that you enjoyed your stay at Goldfinch #11 and that our staff was able to help you to plan and prepare for your Vacation! We hope to see you in Sunriver again SOON! A fantastic place to share with three other couples. 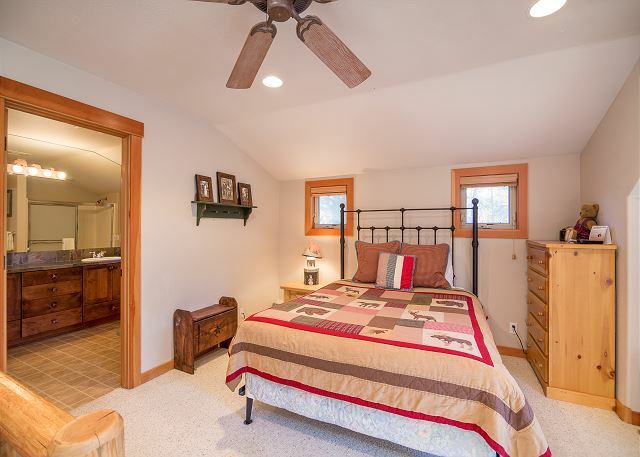 There are four separate bedrooms; each with a bathroom. 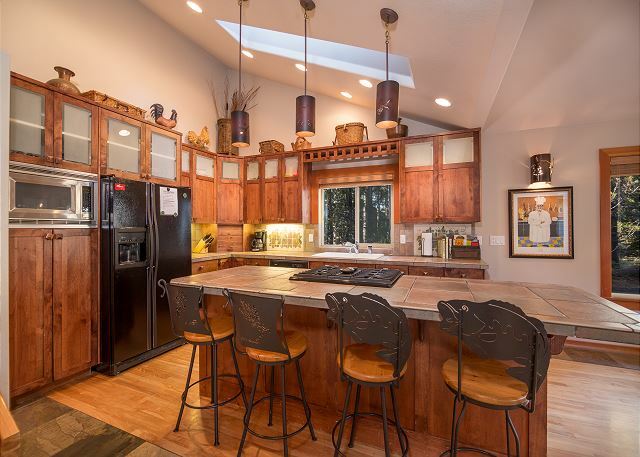 A nice kitchen for cooking. Close to the river trail for walking and biking. Thank You for your review! Sounds like your group had a wonderful stay. Those river paths are awesome and we are so glad you enjoyed Goldfinch #11, please come back and see us again! You should have them check the hot tub too, they did something and the temperature dropped to 74. The carpets really need to be cleaned....pretty ugly. But seriously we loved our stay just as much as we did last year and we plan to come back next year! We would recommend this property. And the description was accurate! And the Sunset Lodging is ALWAYS helpful! Thank you for your review Ken! I'm glad you enjoyed your stay at Goldfinch #11 and thank you for the recommendations, we will take a look at the hot tub and get the carpets cleaned as well. Thanks again for your feedback! We've rented this same property over and over. We love this house, but it's time for the owners to give it a little love. Deck chairs for the table (only one remains that's not broken or missing). Screen door. Hot tub deck. New mattress in master. It's a wonderful house, and it's always been pristine and clean when we arrive. Not so this year. I won't list the issues here, but please get a new cleaning crew that actually wash the floors, etc. We've rented the house again for next year, as an off year can happen. We are hopeful that the quality and standards set in years past will once again be in place. The property management wrote down all of our concerns immediately, and told us they would share them with the owners. They were always! Bikes were in good shape. Thanks for the review Linda! We have a list from you and have sent your suggestions to the owners. Thank you for continually staying with us, and we hope to see you again soon! We had a great time and really enjoyed our time in the house. It was a perfect fit for our family and we definitely look forward to rented it again. Thanks so much for the great review Lisa! Goldfinch 11 is a guest favorite for sure! We hope to see you again soon! Hi John, we are happy to hear that you had a great stay in Goldfinch #11. The weather was perfect too! Hope to see you again soon in Sunriver. This home is set up very well overall. We did not have any issues and had a great time. Hi John! Thanks so much for the review. We are delighted that you enjoyed your stay at Goldfinch # 11. We hope you come back and visit us soon. I liked the house. What I didn't like was that fees added an extra $300 to a 4 night stay. I understand abt the taxes. Cleaning and that new possible damages charge should be part of the cost of doing business. I've rented from u for yrs, I'm trying VHBO next yr.
Hi Laura: Gosh, we've been charging cleaning fees and Accident Forgiveness Fees for a long time (not new). 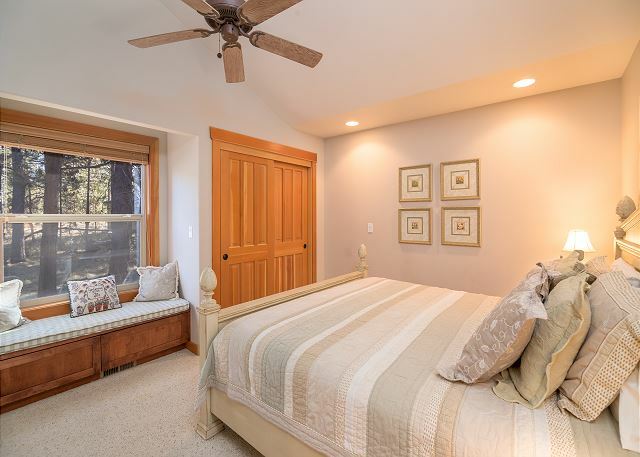 Cleaning fees are normally built into rates at hotels, but in vacation rentals it is an industry wide practice to charge them to the travelers. The Accident Forgiveness fee is in lieu of a hefty security deposit, which most vacation rental companies charge. In many cases, these security deposits are thousands of dollars. The Accident Forgiveness fee alleviates the need to charge those large security deposits and makes our homes more accessible for those that can't afford them. Most folks think it is a great improvement, but if you don't know where they came from, it can be confusing. I hope this helps to clarify our fee structure. As for VRBO, be sure to do your homework on their fees. 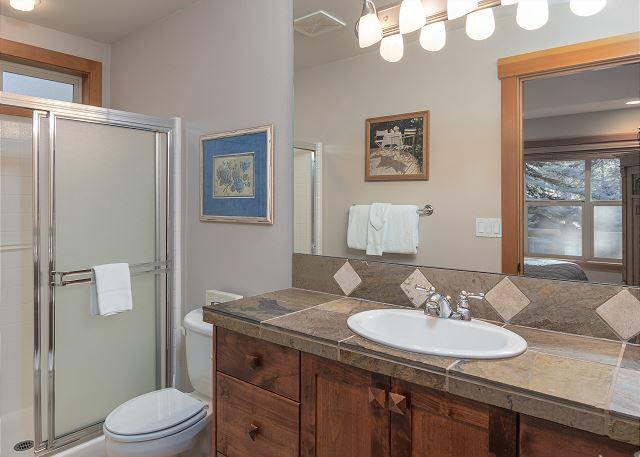 A good way to start might be to google "VRBO traveler fees". We hope to see you back in Sunriver either way, and thanks for your feedback and the chance to address the very hot issue of fees. This was a very simple and efficient rental experience! 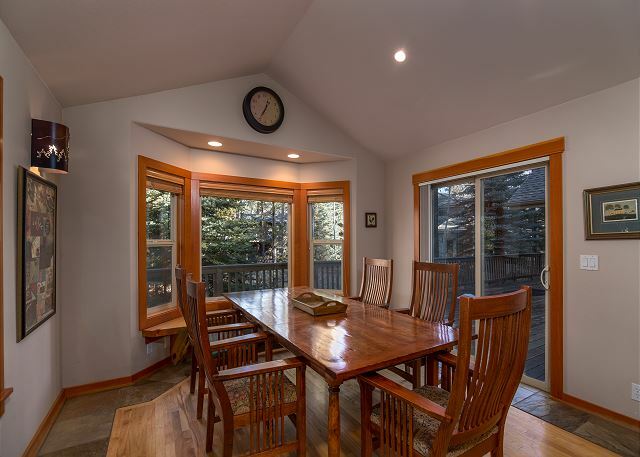 The house has a wonderful layout and we love the location! Really like the keyless entry, though the front door was unlocked upon our arrival due to the deadbolt not lining up with the lock hinge. The house was fairly clean, the wood floors needed to be mopped (socks turned black walking on them) and some deep dusting is needed. Other issues that need attention: gas stove top, (fan is broken) and the back sliding door, (Lock is not working well on it either) and the need for updated technology. Other than that, we really liked the property, the SHARC passes and how easy it was to book through Sunset Lodging! Thanks you for this awesome feedback, Cara. We will definitely take a look at the stove fan and sliding door. We hope that if you ever have housekeeping issues of ANY kind, to please let us know while you are here. Our housekeeping department prides itself on our clean homes and they are more than happy to come out and 'reclean' anything you wish. We are SO GLAD to hear the keyless entry worked (for the most part, kinda sounds like you didn't need it at check in) and also very glad that your reservation process was easy (our goal!) Please come back and see us again soon, we look forward to hosting you again on your next visit to Sunriver. This is the second year we've stayed at 11 Goldfinch. What a delight. The house has everything we need and it's stylish as well. The bikes worked well, the beds were comfy, the deck was very clean this year, and we could use the outdoor furniture (no oak pollen). The property management team was helpful and courteous. The check in and out was a dream. Planning another trip there already. This is awesome Linda! We look forward to your return. And thank you so much for your valuable feedback. 1) Kinda far from anything, but if that's what you want...Perfect! 2) Really old TVs, but if you're not there to watch TV...Perfect! 4) Roof gutters had drainage issue, but I'm sure they fixed that immediately. Caused ice to build up on front steps. We're glad you had a good time at Goldfinch 11, Buz! The ice was just awful after those big storms (but the skiing was epic!) Hope you can get back to Sunriver soon! Very nice place and our guests enjoyed their stay. The experience was fantastic. The home was spectacular and the staff was delightful when we stopped by to pick up extra keys. Not sure what if anything you provide in the homes but we didn't have any coffee filters. Also the TV's weren't working because we didn't have the proper remotes but you took care of that immediately. We have been spending a week in September in Sunriver for many, many years -- each time in a different house. This year we had 4 couples staying, and Goldfinch #11 was perfect for us, each couple having its own bedroom and bathroom plus a large gathering area of meals and visiting. The house is very nicely decorated and furnished, and we were well-accommodated. Our only criticism was that the wifi was very weak in most areas of the house, and the supply of glassware was pretty low, likely a result of frequent use & breakage. 4 senior golfing couples in a very nice house in a great area and with great weather. This is a fantastic house for a dinner party for 20 people. Pete, we are SO glad to hear that you had a nice time in Sunriver. Of course, WE believe we should be considered one of the best golf destinations in the country, so when we get feedback like this, it just proves our case! We'll also be featuring Goldfinch 11 in some of our 'Foodie' campaigns coming up as being a great house in which to entertain. Don't forget, the PacAM 20th Anniversary is next year, so be sure to get your space reserved! Thanks so much for giving us the opportunity to host you and please hurry back. 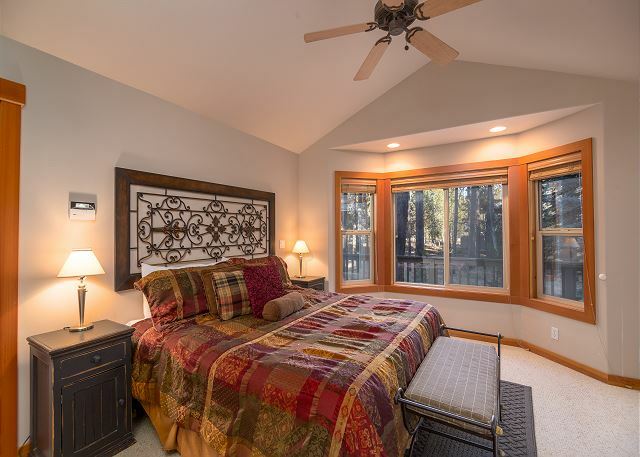 Sunriver is always a greet family vacation with high desert scenery, lots of space to walk, bicycle and explore. Good food and shops. Water park and children's entertainment enjoyed by our grandchildren. Our house was spacious and well stocked with a large deck and sufficient hot tub. Overall a fun week and well worth the cost and time. This was the 7th time we have stayed at this great home! We brought along new friends who loved it and can't wait to go back. 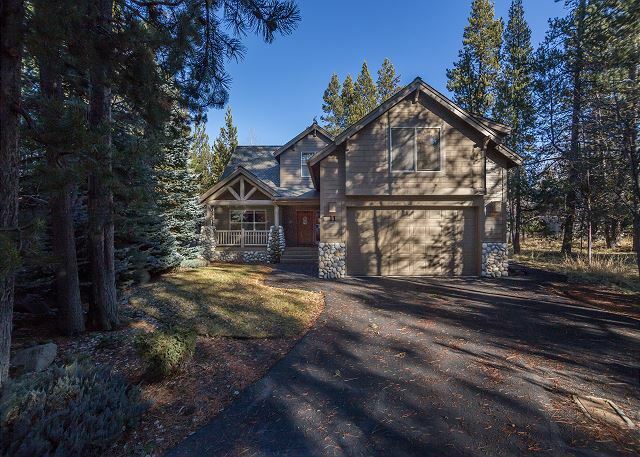 This home has the best location close to the Deschutes at the quiet north end of Sunriver .The home has a great open floor plan with common areas that make eating and socializing a friendly, grand event! Sharon, it is SO rewarding when we can match great guests in great homes. Please keep coming back to see us as we truly look forward to your visits. And thank you for SHARING Sunriver with friends! It is a wonderful event when someone discovers a home away from home in a beautiful place like this. Hurry back! This was a very comfortable and accommodating home for our group! Beautifully decorated, nice layout. 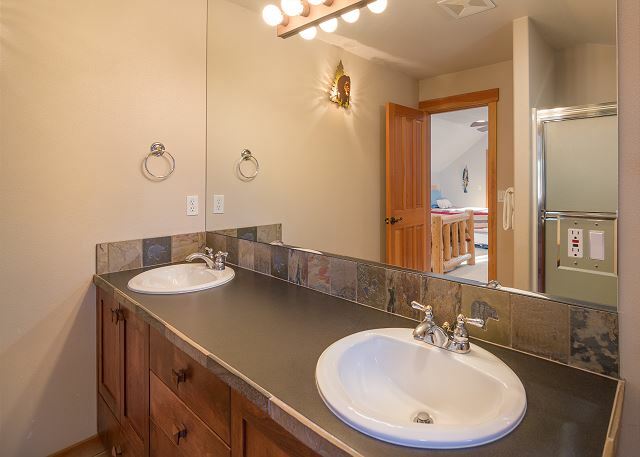 Lots of space, private sleeping quarters and a bathroom either in or near each bedroom. Kitchen was well stocked, the SHARC passes were great, hot tub was a lot of fun. The mosquitoes were a little annoying in the later afternoon and evening as the home is close to the river. But that also made it easy for our float trip down the river, as we could simply walk back to the home! The internet was a little spotty - I would have assumed that a home built to accommodate 12 people would also support multiple people being online at one time, but we kept getting kicked off. Also, there was no HDMI hook-up to connect computers to the TV/DVD equipment, which would have been nice. All in all, it was a great home for our group and we would definitely return. We'll look into that WIFI coverage, Sara. Thank you for the 'heads up'. We hope to see you back in Sunriver soon! 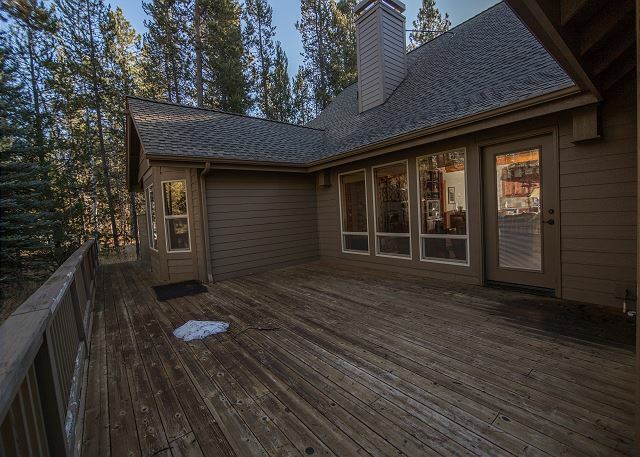 We've rented from various companies in Sunriver. This was the easiest check-in and check-out process EVER! Most things were in tip top shape. However, the master bed had a spring sticking out of the mattress, and the blender was broken. Sunset Lodging will certainly take care of those issues, I have no doubt. 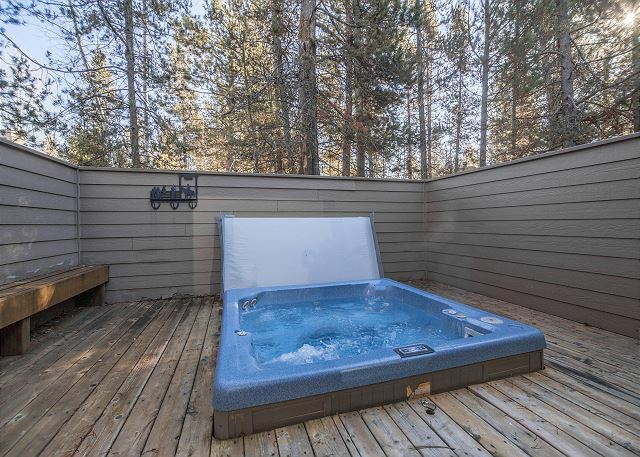 One issue that I've noticed at most of the Sunriver rentals, and it was no different here...the outside deck furniture does not get used much by our family, as we would have to clean it all before sitting on it. It might be a step above the rest of the property management companies if the outside furniture could be clean and ready for sitting on. That's being a little nitpicky, but there wasn't much to complain about here. We all had a terrific time. Oh....the house blurb on the website states it has 3 bikes. When I called Sunset lodging, I was told there were 4 bikes. We brought bikes with us, as we thought we would need a few more...but when we arrived there more than 4. That would have been nice to know, as we had to bring an extra truck for the bikes. We enjoyed river rafting and canoe rides, bike riding, we all participated in the Pacific Crest Kids Triathlon, 5K and 10K runs, we took tours of the lava cave, the brew canoes, The Big Eddy, Paulina Plunge, and we enjoyed the Village. We ate the the lodge.We were not that impressed with the food there. We also ate at the Brewhouse in the village. Good food there. As always, we enjoyed walking and bike riding on the Sunriver paths. We also held a fairy tea party for my 6 year old grandgirl at the house. Great dining and kitchen set-up. Beautiful house, spotless, perfect for our big family. Loved the separation of space!! Everyone had their own bathroom , which was so nice . Tvs are super old but we didn't watch tv much at all. Loved the location of this home, right on the river ! This house was perfect for our family. We had four couples and four children. Everyone was very comfortable. The bikes were great and the trails are very convenient. We used the SHARC passes every day as well. We are glad you had a great time, Pamela. Please come see us again! We had a wonderful time in a beautiful and fairly well maintained home. The grandkids had a wonderful time with bike rides, walks along the river and enjoying the deer and squirrels off the deck. The quietness in October was fantastic. The home was very comfortable and accommodated our needs very well. Thank you for your review of this home! 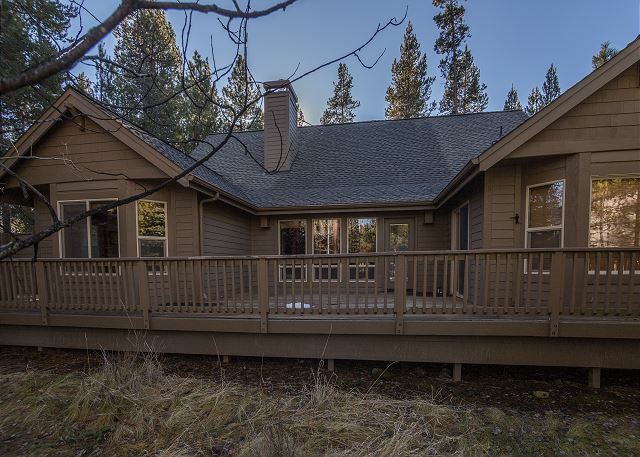 We are glad you enjoyed your experience in the home and all that Sunriver has to offer! We had a wonderful stay at Goldfinch #11. the location was perfect. it was close enough for an enjoyable bike ride to the mall, but far enough away for the feeling of tranquility. Would highly recommend this home. So glad that you enjoyed Goldfinch 11! The location is a nice balance from being near the mall but also far enough out to have a more quiet setting! Thank you for your review and we look forward to seeing you again! 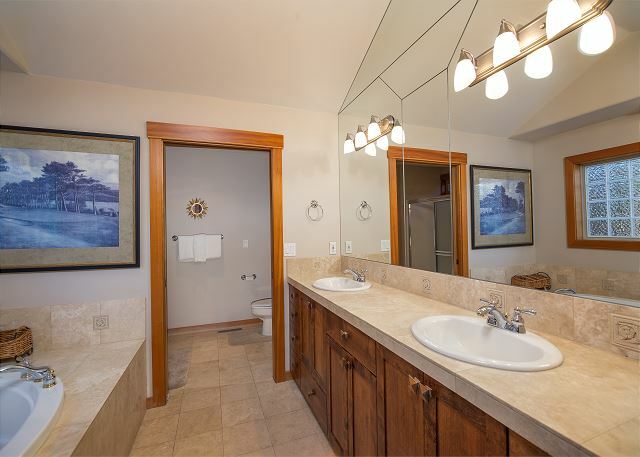 Very nice house close to river and bike trails. Washing machine had a problem that mice came and looked at quickly. A few other small things that also needed mice attention. 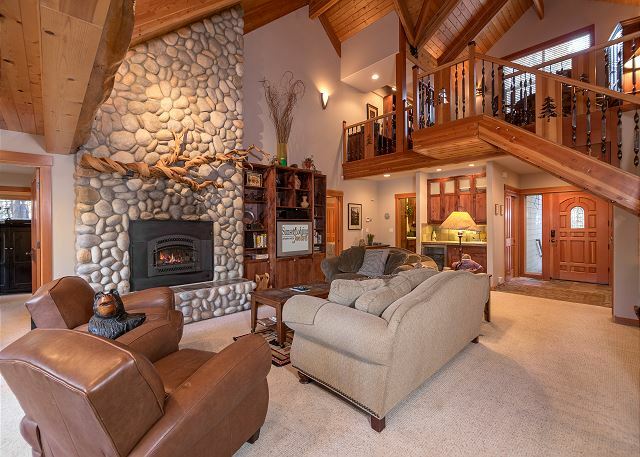 Overall,we were very pleased with Sunriver. We hope you will come back and stay again soon.